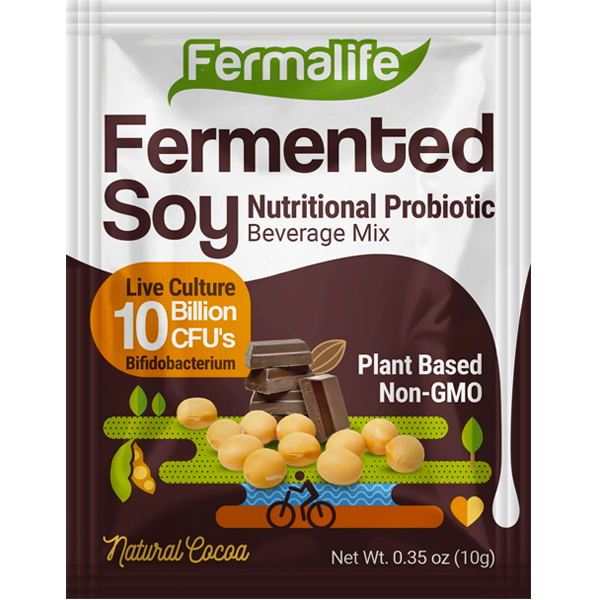 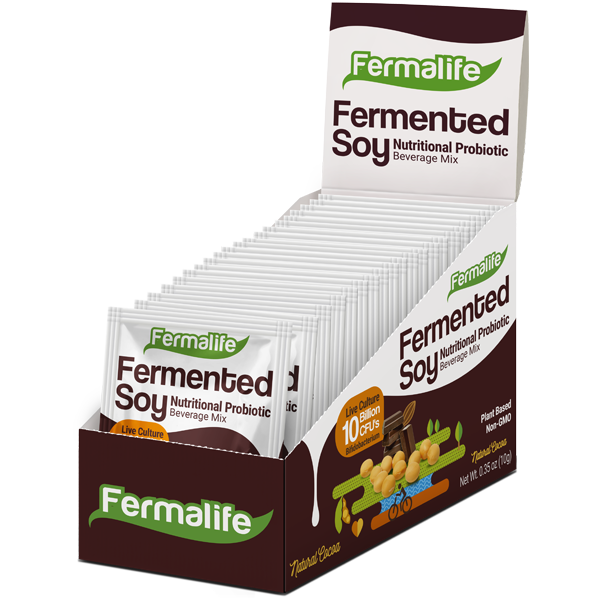 A delicious new way to get the benefits of fermented soy without the unusual taste of fermented soy foods. 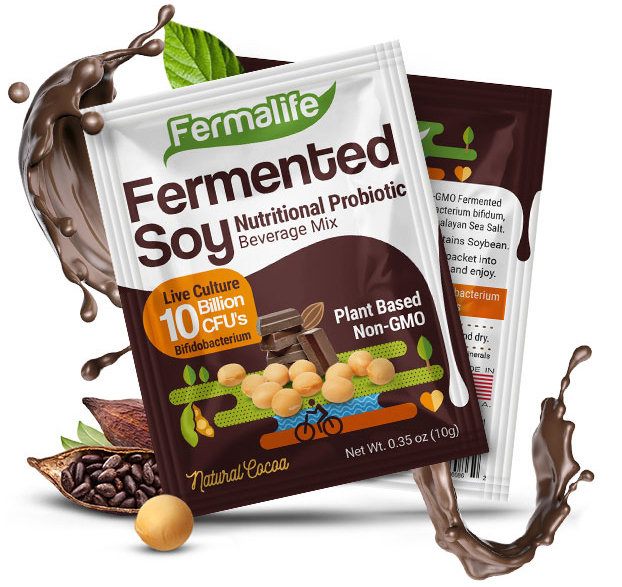 You can simply drink down chocolatey goodness. 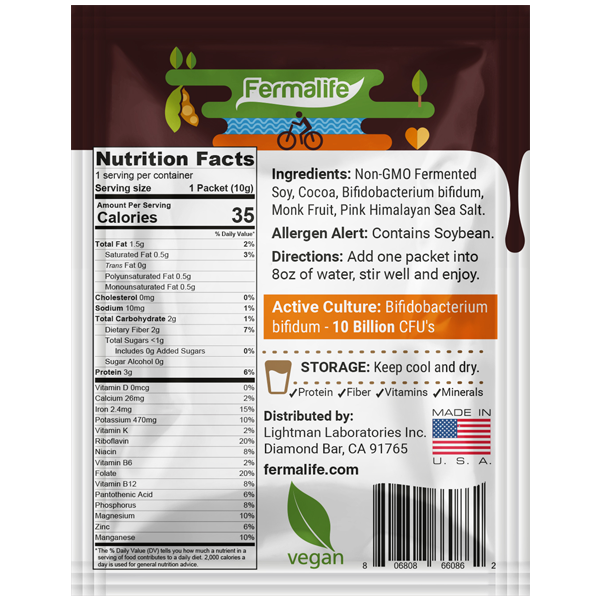 It’s Plant-based and made with USDA organic, non-GMO soybeans and natural cocoa bean powder. 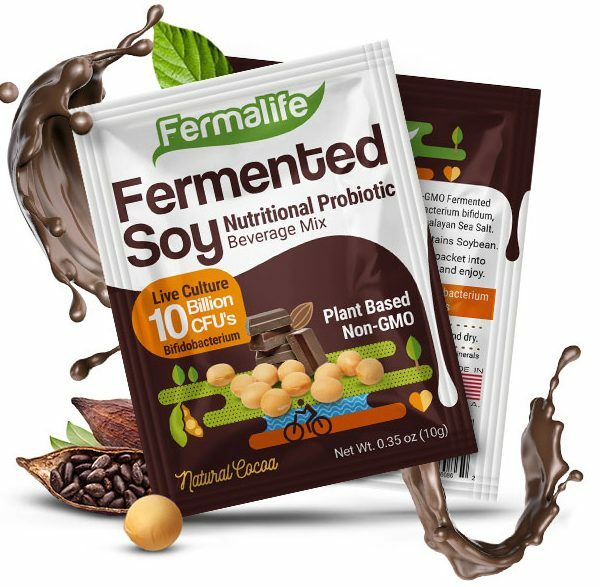 This antioxidant blend nourishes your body and also contains probiotics that contributes to digestive health.